Nationality: American. Born: Michigan City, Indiana, 7 May 1923. Education: Attended Theodora Irvine's School of Theatre, 1934–36; Lenox School, 1937–38; Brearly School, 1938–39; studied acting with Maria Ouspenskaya, 1936–40. Family: Married 1) the actor John Hodiak, 1946 (divorced 1953), daughter: Katrina; 2) Randolph Galt, 1960 (divorced 1970), daughters: Melissa Ann and Maginel; 3) David Klee, 1977 (died 1977). Career: 1936—Broadway debut in Seen but Not Heard ; 1940—film debut in 20 Mule Team ; 1957—TV debut as guest star on General Electric Theater ; appeared in numerous TV productions over remainder of life; 1961—moved with husband to cattle station in the Australian outback where she lived for several years; 1969–70—in TV series Marcus Welby ; 1971—return to Broadway in Applause , musical version of All about Eve , taking over role of Margo Channing from Lauren Bacall; 1976—in TV miniseries The Moneychangers , and East of Eden , 1982; 1982—final stage appearance as Queen Gertrude in Hamlet , American Shakespeare Theatre, Stratford, Connecticut; 1983–85—in TV series Hotel . 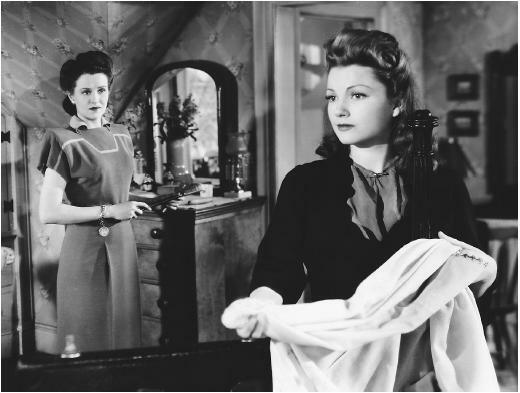 Awards: Best Supporting Actress Academy Award, for The Razor's Edge , 1946. Died: Of stroke, in New York City, 12 December 1985. Intermission: A True Story , New York, 1976. Parish, James Robert, The Fox Girls , New Rochelle, New York, 1971. Fowler, Karin J., Anne Baxter: A Bio-Bibliography , New York, 1991. "All about Anne Baxter," in Photoplay (New York), September 1943. Graham, Sheila, "As You Were, Annie," in Photoplay (New York), April 1953. Pollock, L., "Between Heaven and H . . .," in Photoplay (New York), April and May 1957. Current Biography 1972 , New York, 1972. Bawden, J., "Anne Baxter," in Films in Review (New York), October 1977. Ciné Revue (Paris), 19 March 1981. Photoplay (London), November 1981 and November 1984. Obituary in New York Times , 13 December 1985. Obituary in Variety (New York), 18 December 1985. Given the creative legacy of Anne Baxter's family—she was Frank Lloyd Wright's granddaughter—her artistic accomplishments were scripted from childhood. She was from the age of ten determined to become an actress after seeing a stage production starring Helen Hayes in New York; her aspirations were encouraged by her parents and grandfather. There was an air of duplicity about Baxter that she and her directors used to diverse effect throughout her career. Her steely-eyed, intelligent beauty was composed of elements disparate enough to hint at complex or contradictory aspects of a character. Few of Baxter's roles were straightforward interpretations; her characters, more often than not, play other characters. The masks that Baxter's women wear may depict treachery ( All about Eve ), mental unbalance ( Guest in the House ), or a rugged, no nonsense exterior that disguises a vulnerable, tentative personality ( Yellow Sky ). Many of Hollywood's best directors found Baxter a surprisingly intense performer and she did first-rate work for Hitchcock, Welles, Wellman, Edmund Goulding, Negulesco, Milestone, and Joseph L. Mankiewicz. Without establishing a dominant screen persona, she made several good films from the time she was only a teenager. At the age of 16 she tested for the title role in Hitchcock's Rebecca , but her youth prevented her from being cast; she had to settle for an ingenue part in 20 Mule Team . From the beginning, though, her assignments and her performances were varied and interesting; she was earnest in The Great Profile , earthy in Swamp Water , and a coquette in Charley's Aunt . The Magnificent Ambersons gave her the best role of her early career and her performance is subtle and thoughtfully shaded. She won an Academy Award for her tragic dipsomaniac in The Razor's Edge and was again nominated for her Eve Harrington in All about Eve , which she played, as The New York Times put it, with "an icy calm." Her career peaked sooner than seems just. While she continued to give good, sometimes inspired performances in I Confess , O. Henry's Full House (in Negulesco's "The Last Leaf" episode), The Blue Gardenia , and The Ten Commandments , eventually she found herself slogging through forgettable programmers. Walk on the Wild Side and Fools' Parade gave her a few shining moments, but she soon had to turn to television and the stage for sustenance. In 1971, she took over Lauren Bacall's role of Margo Channing in Applause , a stage musical based on All about Eve , and found herself in the intriguing position of playing the established star at odds with the young upstart, Eve, whom Baxter herself had played so memorably on film. Though she never achieved the status of superstar, she did achieve longevity, diversity, and popularity throughout a very stable career. In her final role, Baxter portrayed Victoria Cabot on the television series Hotel from 1983 until her death, caused by a massive stroke in 1985. I want to find out information about Ruth Warwick.